Last weekend, I had the pleasure of enjoying my annual road trip with my good friend Larry Smarr – one of the smartest people I know and the director of the Calit2 and Qualcomm Institutes (UCSD / Irvine). The operating principles of this tradition include, but are not limited to: exposure to natural beauty from an open car creates a particularly fertile state of mind for thinking creatively; taking time off together can lead to tens or hundreds of free-association conversations; and many new ideas, theories, insights, conclusions, and paths to action will result. 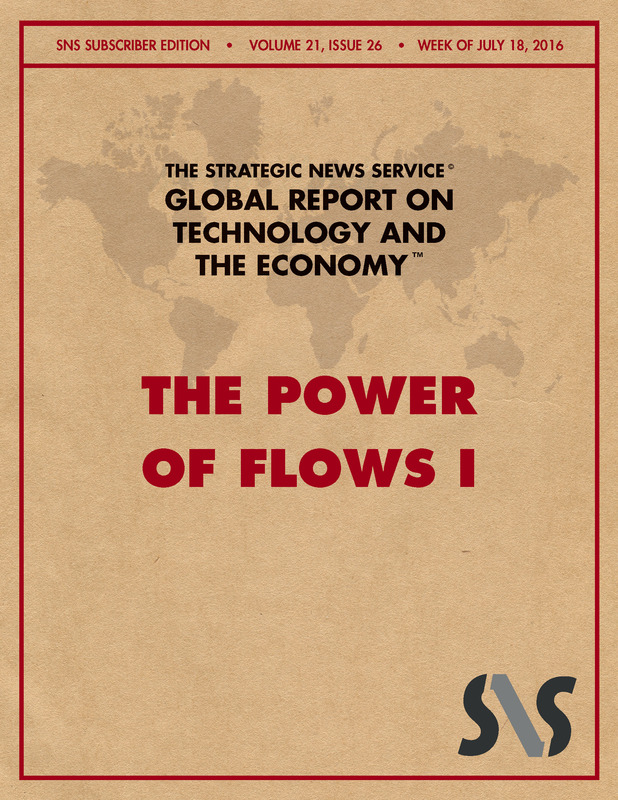 This year the theme is “The Power of Flows,” and participants will get an even deeper exposure to the future of computing and communications, and how this new set of technologies will drive corporate and global economies forward. Yes, there really is nothing like FiRe. In this week’s discussion, I want to start our members’ thought processes moving in this new direction. Let’s invent new theories, new applications, and new architectures for computing, shall we?